The Mens 1s have qualified for the semi-final of the EY Champions Trophy for 2018. They play Glenanne at 3pm on Saturday 5th May in Three Rock Rovers and they would love your support. The second semi-final between Lisnagarvey and Three Rock Rovers is immediately afterwards at 5pm on what will be a day of high tempo, very competitive hockey. Hope to see you there! 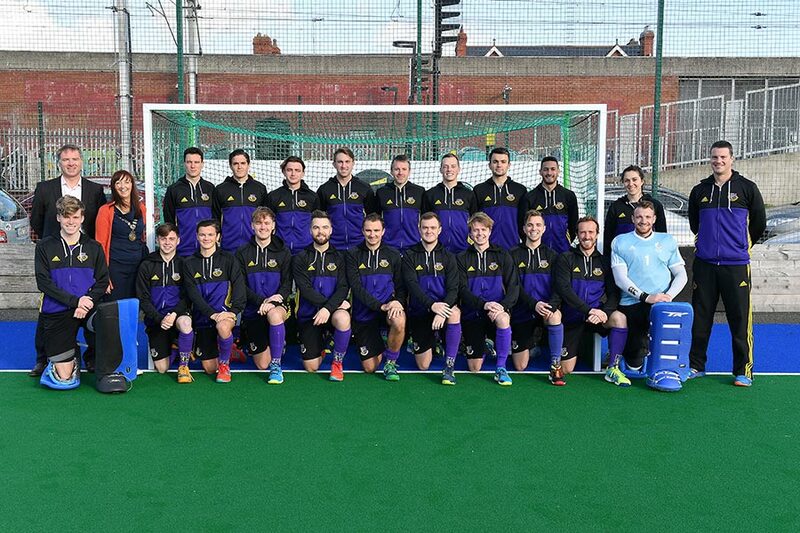 Update: An unusually warm May bank holiday weekend saw Glenanne came out on top with a 3-0 win against our Mens 1s in the EY Champions Trophy Semi-Final. Pembroke had all the chances and numerous circle penetrations but they were kept out partly due to some good work by Iain Walker in the Glenanne goal. Glenanne countered very well and came out on top to progress to the final where they faced Three Rock Rovers. In the final, Rovers nicked a winning goal to make it 2-1 in the last minute of the game and retained their title for the second year running. Well done to all involved; enjoy the summer break!